I spent some weeks in British Columbia earlier this month and, as result, been thinking alot about bread. They eat 'alot' of it here, or at least 'alot' by my standards. Now mind you, I love bread. Anyone who knows me knows I will probably ask for an onion bagel on my deathbed. But lately I've been trying to eat more veggies and legumes, and less bread. So I'd lost touch, sort of, with the magic of this material. What I'm noticing is the complexity of the very matter that is bread. 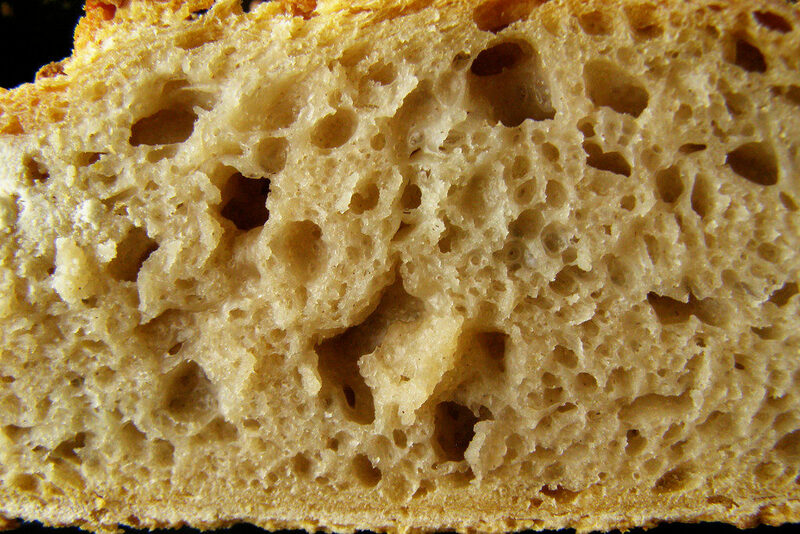 The way it has tenacity, wants to cling to its bread-like form despite being filled with holes and spaces. I'm noticing the way tearing away a piece leaves as many crumbs outside my mouth--on my lap, my laptop, my floor--as it does crumbs and chunks inside my lips. I'm noticing the holes, the tiny little portals carved out by the complexity of the relationship of flour and water and yeast, how they danced together in the baking, how they worked together to leave behind this holy thing for my sustenance. I'm reminded of the ways we dance with others, sometimes creating resilient structures together, sometimes only leaving behind the echoing holes. I'm in awe of these holes. And grateful for them too.